My story began 20 years ago when I opened my first restaurant. I was a healthy, vibrant, hardworking entrepreneur, mom, wife, and daughter. I had no idea the career I had chosen, which seemed at the time a healthy decision, would be a life changer. My life started changing when my back collapsed and my menstrual periods became so painful. In 1997, I had what I thought was an ear infection. My ear drained yellow liquid and blood; this hurt so badly. My mom went with me to a doctor who confirmed an ear infection suspicion. He prescribed some medication, and told me the medicine would make the infection better. Although being a person who had never taken medicine, I filled the prescription and took the medicine. After taking the medicine for two days and experiencing no change; I stopped taking the medication. The drainage continued for an entire month. Nothing, including a cotton ball would stop it. The liquid was all over my shoulder and even drained onto my clothes. I would cover my pillow, but the slow draining continued for two months before it ceased. For the next 10 years, I experienced my back collapsing many times, and the painful menstruations continued. In July 2000, we moved to a new house that had single-side high tension power lines located in the backyard. I inquired of the power company if the lines were dangerous. Of course, they said “No!” I was uneducated regarding the consequences these lines would later cause my family and I. During the summer of 2006, I saw a big wheel on the other side of the electrical poles. I knew they were adding lines from the new relay station they installed down the road from our house where I drove past every day. My real nightmare began at this time. Little did I know, the next three years would change my life forever. I continued to work at our family-owned business, landscaped the back yard, and maintained our home, along with other normal household, mother and wife duties. I was having a lot of anxious moments, and my body was constantly nervous. I started drinking vodka to keep me calmer and mellower. In July 2008, my back collapsed again. I was in such pain that I remained on my floor for 60 days. When I would stand I could only manage to walk and move a little, very cautiously. I used a laptop computer and cell phone to conduct business, ignorantly leaving them turned on while sleeping with them nearby which meant the WIFI was constantly on. I believed I was experiencing stress due to my heavy workload. In October 2008, we received a business card on our front door!!!! Guess who??? The POWER COMPANY. They wanted to talk about purchasing some property in our backyard close to the right-away zone. I immediately educated myself regarding different power lines and rules about drain fields and wells. I still had no idea these power lines were hurting us. We met with the power company to discuss their proposal. (Read my book). In the Spring of 2009, I went to the beach with my girlfriend. By then I was about to jump out of my body. I was experiencing constant headaches, nausea, all-over body swelling and was unable to focus. I decided to take my laptop on the trip and use it to continue my ancestry search….the clue that changed my thinking forever. Literally, as soon as I booted this laptop on, I would start feeling sick. This particular time my abdomen began swelling so large in a matter of seconds, that it appeared as if I were nine months pregnant. My girlfriend witnessed this with me. She immediately grabbed the laptop and placed it in another room. We were at the beach in a hotel room. We were both in shock, amazed, and at a loss for words. Time passed, maybe 30 minutes, and I began feeling better. The swelling went down. I said, “I must try this again”. The exact same thing happened. I shut the computer down in April 2009, and I have not booted it up since then. Our weekend retreat ended without me feeling any more rested from this mini vacation. I was really feeling like ending my life due to the pain and aggravation I was constantly feeling. I was extremely emotional, and had no desire or ability to pull myself up and back to my normal, positive happy self. During the ride home from the beach, I realized my cell phone was also making me sick. I turned it off and decided not to use it. Fast forward to 2014 where am I now!!! I can drive my car, and drive without being sick. I can walk into a public place. My brain has healed, not perfect, but getting there. I can use a laptop and cell phone, if I need and when I choose (No Radiation For You recommends that EHS people will avoid daily use of cell phones, smart phones, wireless laptops, tablets and other wireless equipment. 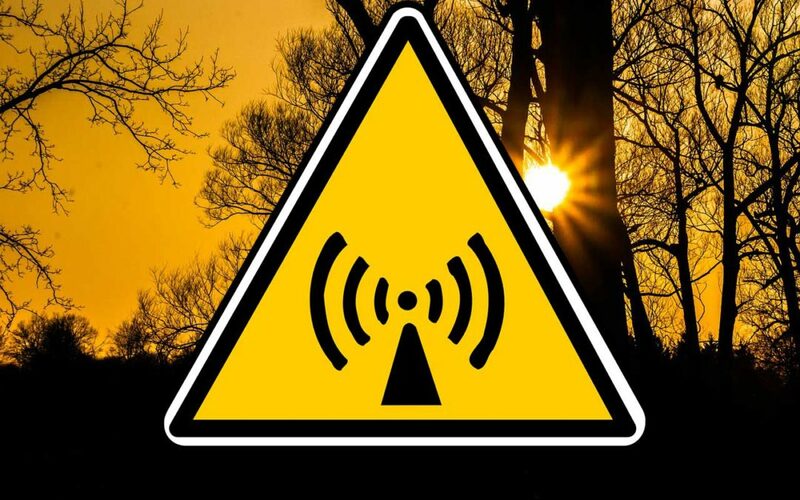 We believe that every exposure to EMF can contribute to your EHS condition. We recommend using a wired PC, a land-line wired phone and limit the use of wireless devices to emergencies only). I can be around other peoples’ cell phones and computers. I can fly in an airplane. I can cook with an oven and stove. I can use an electric juicer. I can use a blow dryer to dry my hair. I can sleep all night. After surviving the roller coaster ride of electrical magnetic sickness for the past 20 years, 14 and one half of those years, I was uneducated about this sickness. I have since learned some basic rules to apply to the rest of my life. I am not 100% cured. I know my limits and boundaries. My focus is to always look out for my concerns to protect my body at all times. I am very busy being hands on coaching others and bringing awareness to everyone I come in contact with. I continue to have faith in total healing, so I stay focused on the finish line. I continuously do research and look for remedies to cross the finish line. I must be aware of my environment and pay attention by being observant to the signals from my body at all times. I use an RF & EMF meter that measures both. I recommend everyone with this problem to get a meter, this helps teach you the difference between what bothers you or not. I know now what is out here that could bother me, but I always have my meter in case I need it, but mostly to help educate others. I understand and make food my medicine all day long. I must always stay focused on Amino Acids. I take cell available vitamins, nutrients, enzymes, and protein thru Prime90 Moringa Oleifera and Hemp Protein every day without fail from Amazon!! I drink perfect alkaline water. I do not allow negative people around me, nor do I have negative conversation, or listen to negative talk. I continuously do emotional release for any prior actions, thought, feelings, or words I may need to deal with immediately. I make sure I get enough sleep, and if I need a nap I take it. I am no longer the perfect perfectionist. I have patience and peace now. I have learned to say “NO” and feel good when I say it, instead of guilty. I meditate and do some form of energy treatment every day. I am always willing to learn and keep educating myself on this big subject. To get my specific product use you can schedule a consultation all proceeds go to my Charity. I wrote my book to bring awareness to those who are clueless. I wanted to help others who have this problem, to have a reference to verify most of their stories… a third party resource that has lived this life. I am medically diagnosed with EHS (by Dr. William Rea Dallas, Texas www.ehdc.com). I am not crazy. My condition is totally physical and this was proven by Dr. Rea of Dallas, Texas. In addition, I want people to know you can heal, no matter how sick you are. I want to bring hope to the hopeless and help to the helpless.